The 3rd Annual Gary Dineen Legacy Golf Ball Drop and Pre-Season Cookout will be held on Thursday, August 16, 2018, from 5:00 PM to 9:00 PM, at Sonny’s Place in Somers, Connecticut. The Golf Ball Drop will take place at approximately 6:30 PM. 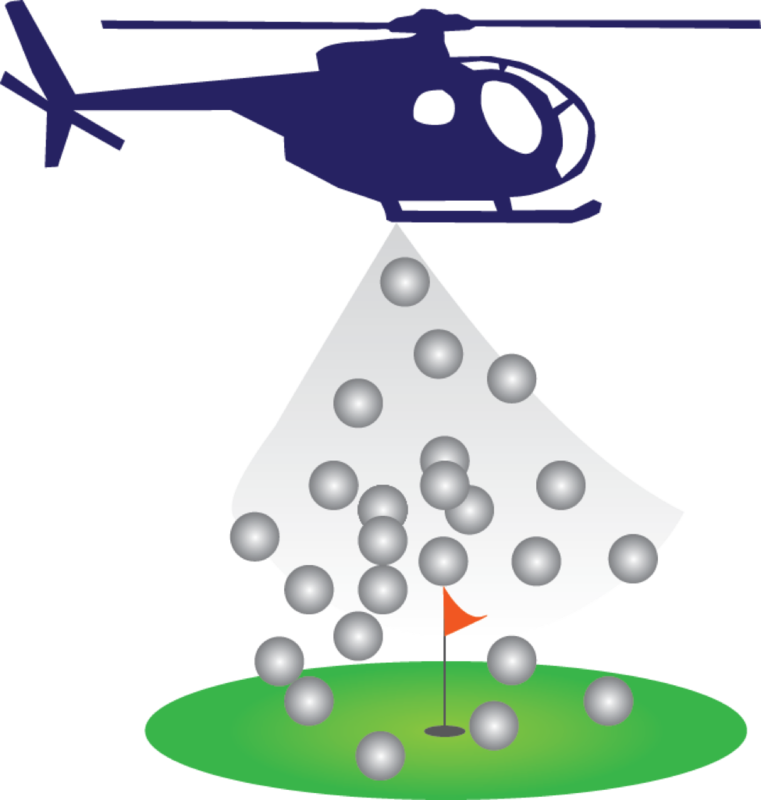 Numbered golf balls (up to a maximum of 2,000) will be dropped from a helicopter for a chance to win a $25,000 Grand Prize for the ball landing closest to the pin!!! There will be eleven runner-up prizes based on distance from pin!!! Winners need not be present. All tickets will be sold prior to the 3rd Annual Gary Dineen Legacy Golf Ball Drop and Pre-Season Cookout. Prize money will be provided by numbered golf ball sales. All proceeds from the Golf Ball Drop Fundraiser will go to the 501(c)3 Gary Dineen Legacy, Inc. (EIN 04-2518071), with a portion designated to the Gary Dineen Memorial Scholarship Fund. A majority of funds will go to offset program costs for Mass/Conn United and its programs. Click HERE to learn more about Mass/Conn United. Proceeds directed to the Gary Dineen Memorial Scholarship Fund will be used to fund “needs-based” aid for our families. All current Mass/Conn United families are invited to the 3nd Annual Gary Dineen Legacy Golf Ball Drop and Pre-Season Cookout. In addition, each golf ball purchased entitles one person entry to the event. Additional guests may purchase tickets for $20.00 by clicking . If you are interested in purchasing a golf ball in support of the GDL Golf Ball Drop Fundraiser and Pre-Season Cookout, please contact Rachelle King ( ) or Carol Lessard ( ). TO LEARN MORE ABOUT GARY DINEEN LEGACY, CLICK HERE. • Standard golf balls of comparable weight and size will be numbered 1 to 2,000. • The 2,000 golf balls will be audited by a representative from an independent accounting firm to ensure that all balls are present. • The balls will then be placed in sealed containers and certified by a representative of the independent accounting firm that all balls are present and accounted for. • The containers holding the golf balls will be stored in a secure location until the day of the event. • Under the observation of security personnel, the golf balls from the sealed containers will be transferred into three transport containers. • The three transport containers will be placed into the helicopter. • The helicopter will then proceed to take off and approach the drop zone where it will hover. The designated ball dropper, or flight team member, will release the balls from the containers. • Once all balls have been dropped, determination of the winners will take place. • A member of Gary Dineen Legacy, Inc. staff will maintain a master list of balls purchased, the ticket’s assigned owner and contact information at all times. • A pre-determined staff member of the designated venue will be charged with measuring the balls that land closest to the pin. • The venue staff member, under the direct observation of the Gary Dineen Legacy, Inc. (GDL) President (or their designee), GDL Secretary (or their designee) and GDL legal representative will approach the drop zone for the purpose of determining the winners. • The venue staff member, and aforementioned observers, will determine the grand prize winning ball based on which ball has landed closest to the designated flag pin and then the next winning ball, and so forth, until all winning balls have been determined. • Winners will then be announced during the Golf Ball Drop and Pre-Season Cookout and posted on-line at www.garydineenlegacy.org as soon as possible after the winning balls are determined. • Winners need not be present to win. • In cases where a winner was not present at the Gary Dineen Legacy Golf Ball Drop and Pre-Season Cookout, or may not have visited the web site, GDL staff will make all reasonable attempts to contact the winner via the contact information he or she provided on the ticket information form. • During normal business hours, winners may contact Gary Dineen Legacy at (860) 745-2461. • Any prize money not claimed by September 30, 2018, will be considered unclaimed and dedicated to the Gary Dineen Memorial Scholarship Fund.